During your Main Phase: You can send 1 “The Phantom Knights” monster from your Deck to the GY; Set 1 “Phantom Knights” Spell/Trap directly from your Deck in your Spell & Trap Zone. If a DARK Xyz Monster(s) is Special Summoned to a zone(s) this card points to while this card is on the field, except during the Damage Step: You can target 1 card on the field; destroy it. 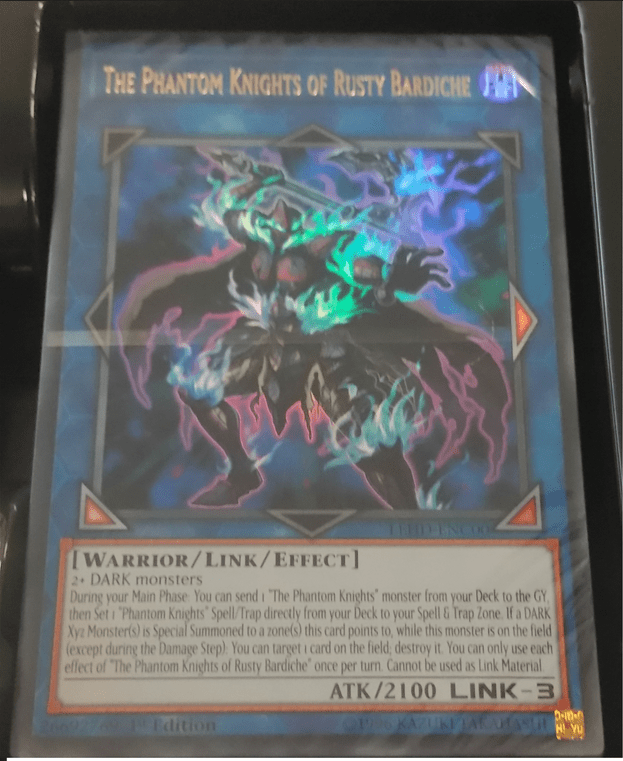 You can only use each effect of “The Phantom Knights of Rusty Bardiche” once per turn. Cannot be used as Link Material.